Along with the normal array of cosmetics a woman uses, there are also many products to prepare the face for makeup. Primer is a pre-foundation product designed for smoothing fine lines, and is now considered as an essential part of every woman's makeup routine. A primer prepares the "canvas" of the face for cosmetics. Foundation goes on more smoothly and evenly, as does blush, eyeshadow, and many other cosmetic products, if the lines are first smoothed out somewhat. Although the smoothing is temporary, it can last throughout the day. 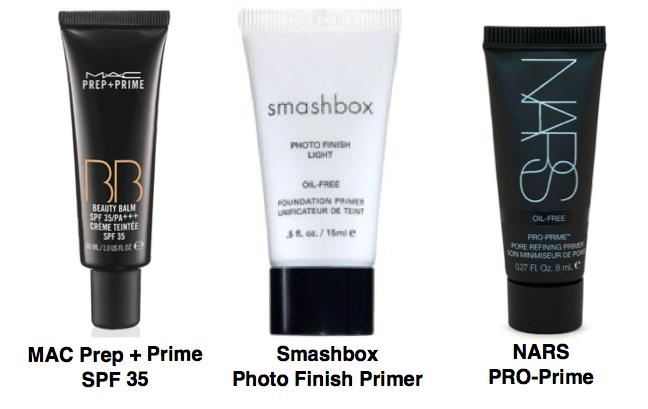 I've tried a couple of different primers myself, and while some are not that helpful, some other brands make it possible for your makeup to last the entire day, visibly reducing the size of pores and making your face look fresh and natural.